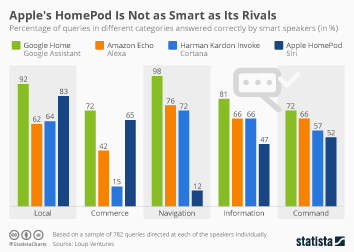 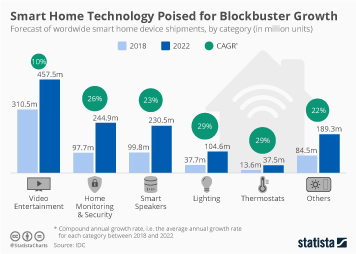 A survey conducted by Ipsos Connect at the start of the year suggested that companies such as Amazon and Google could have an uphill struggle on their hands trying to increase take-up of their smart speakers in the UK. 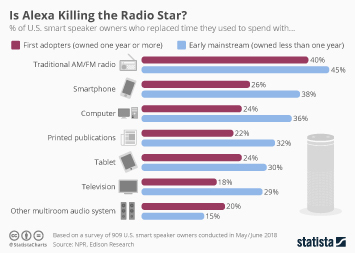 While ownership is still low - 10 percent according to a new YouGov survey - it has apparently doubled in recent months. 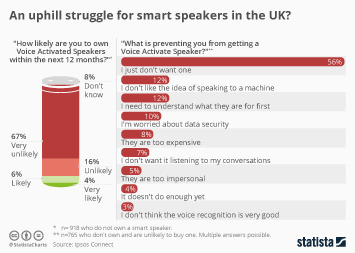 Encouraging signs, but what exactly are owners in the UK using their speakers for? 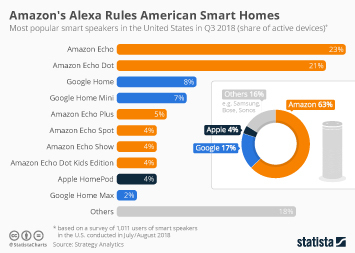 As our chart shows, the main task asked of Alexa and co. is to play music (71 percent). 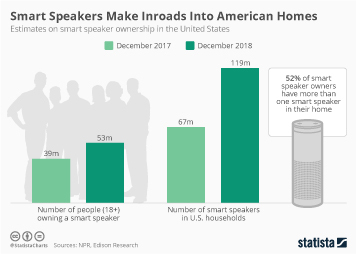 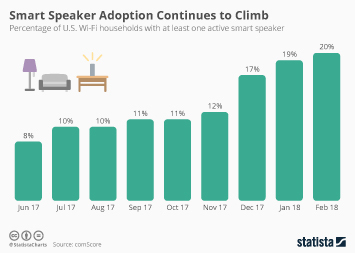 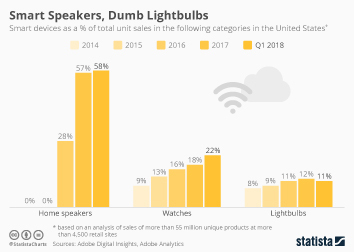 The majority of respondents also said they like their smart speaker to answer general questions (58 percent) and rounding off the top three uses was the setting of reminders and alarms (49 percent). 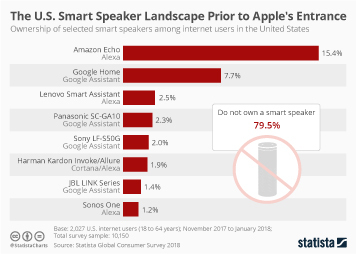 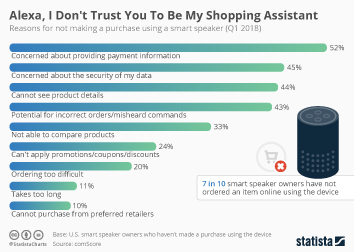 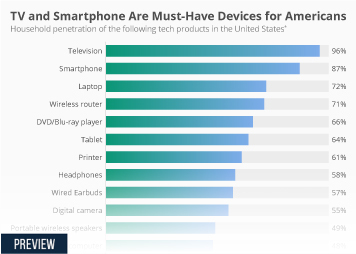 The ultimate goal for Amazon's Alexa - to sell more products - is still lower down on the list with only 9 percent saying that they currently do this. 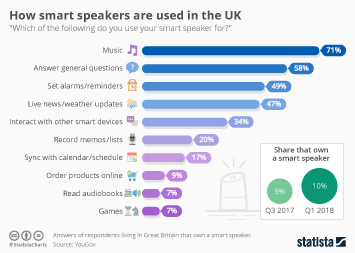 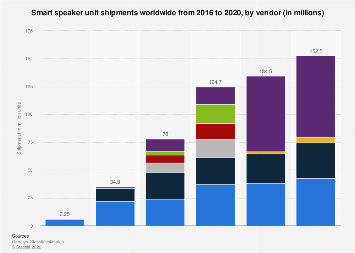 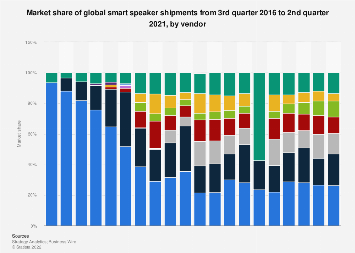 This chart shows the main uses people in the UK have for their smart speakers (2018).